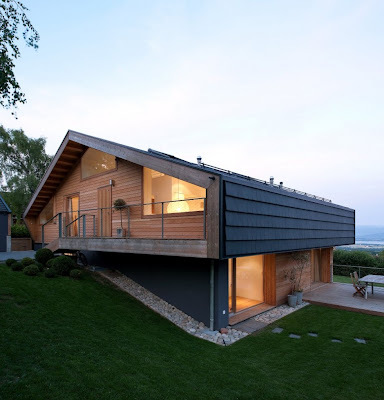 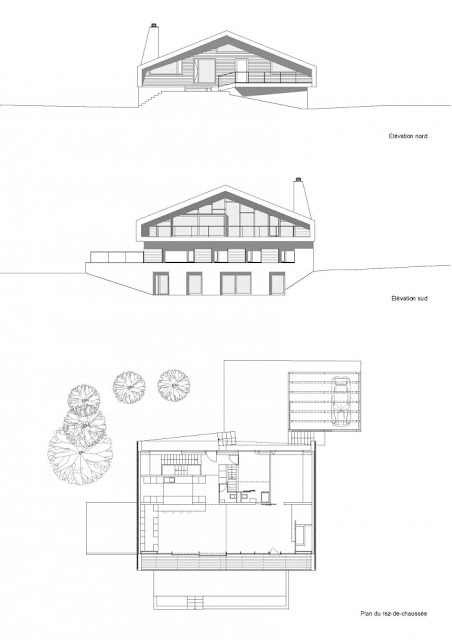 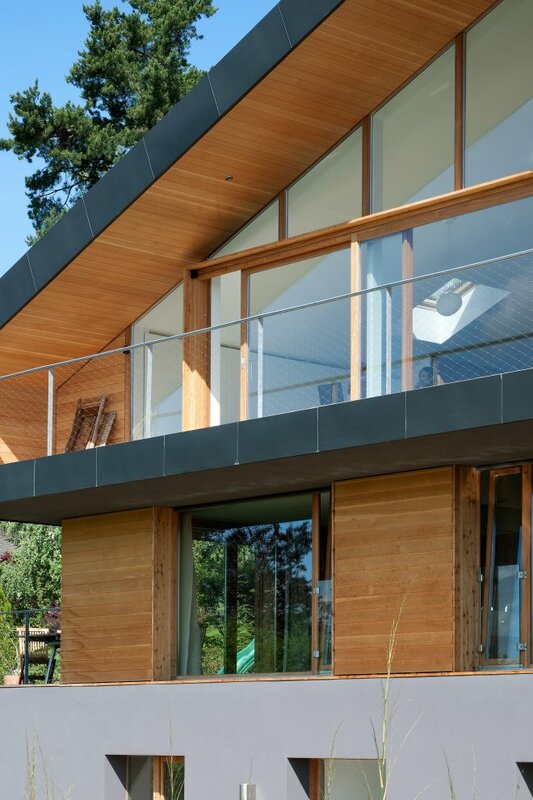 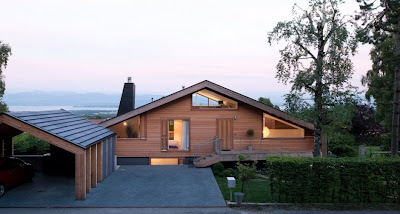 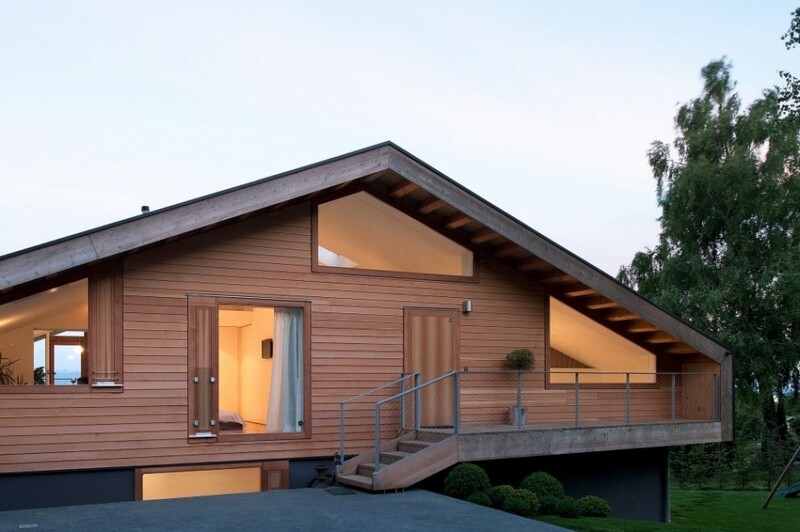 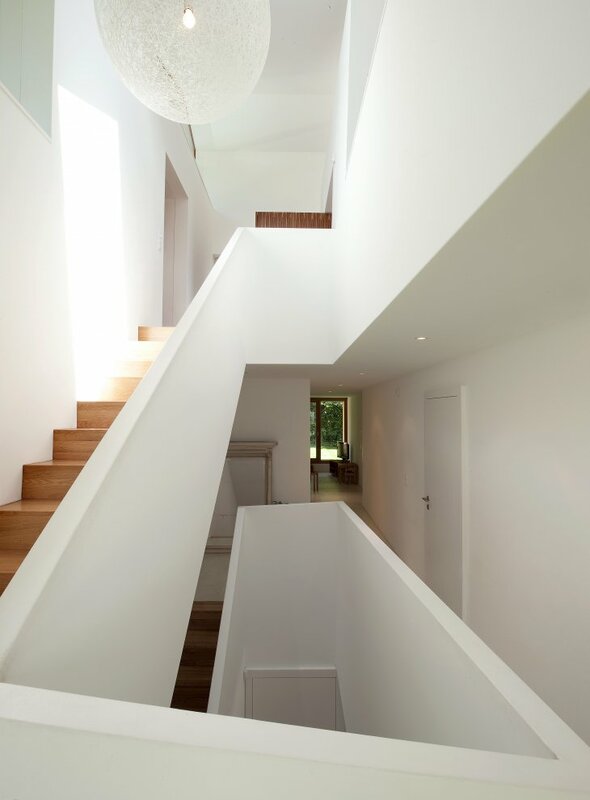 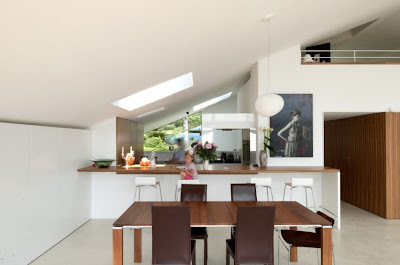 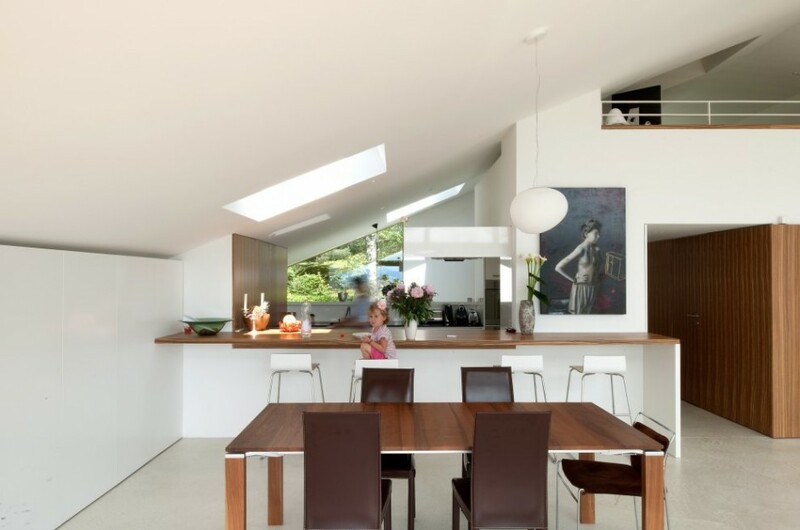 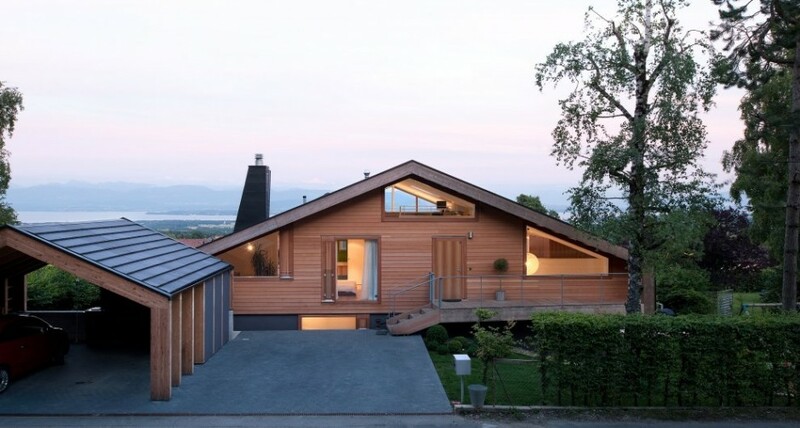 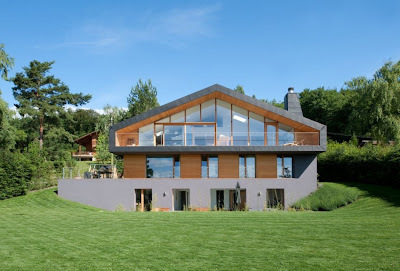 This modern minimalist Swiss chalet built in an area with zoning ordinances, diverts the vernacular design of the typical chalet into contemporary and playful architecture. 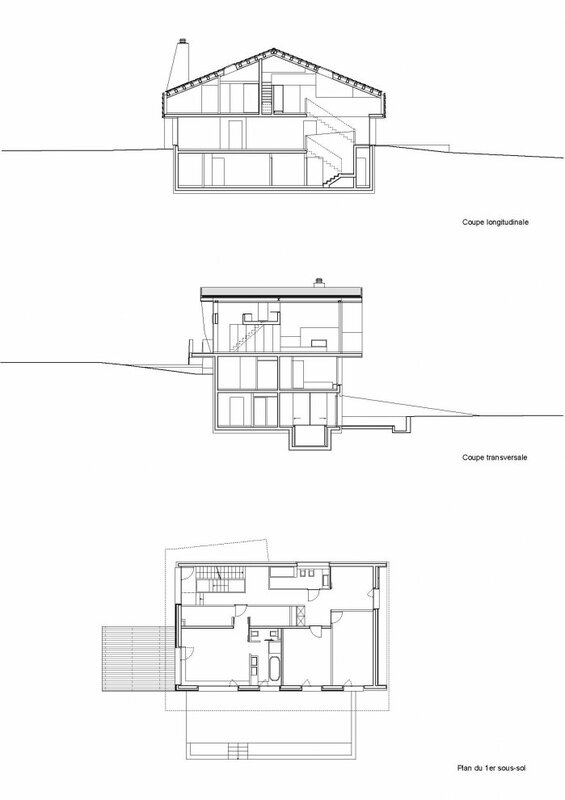 The topographical insertion inverts the superposition of the functions and the interior walk in a «plug-in» way. 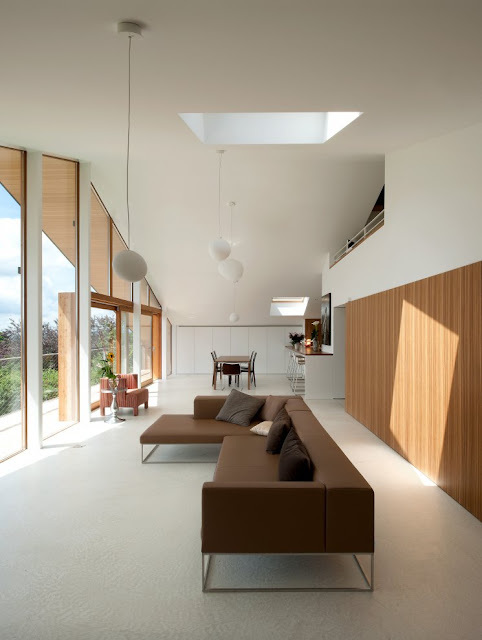 The living spaces, reachable from the upper side of the plot, evolves underneath the roof, facing the beautiful landscape of the Lake Geneva and Alps.